Every day you have to learn something. It is up to you, if you want to be ahead in the pack, the middle of the pack or behind in the race. You hold the key to your success. I want to be ahead in the race and I don’t care how far the next guy is behind me. He always treated people with respect — no matter what — whether or not it was the person who was his patient, his colleague, the nurse or the cleaning person in the hospital. He was a father, a grandfather and a great-grandfather. And that’s the number one achievement he had in his life, by far. He touched everyone that he met. Kumar is a very accomplished neurosurgeon. 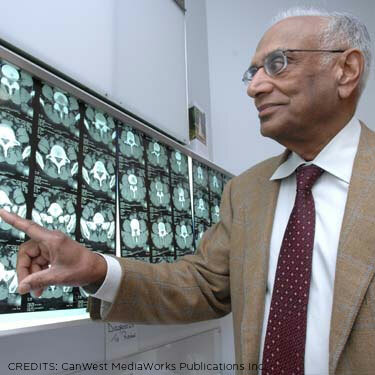 He has been a pioneer in the management of pain with neurosurgical procedures and the bulk of his international reputation is based upon such procedures as spinal stimulation and deep brain implants.